Tone and strengthen arms, shoulders, chest, back, buttocks, and legs with one simple fitness tool. A resistance band is a great way to stay in shape without weights or large body building equipment. With a wide variety of uses, the resistance band creates tension to simulate weight. 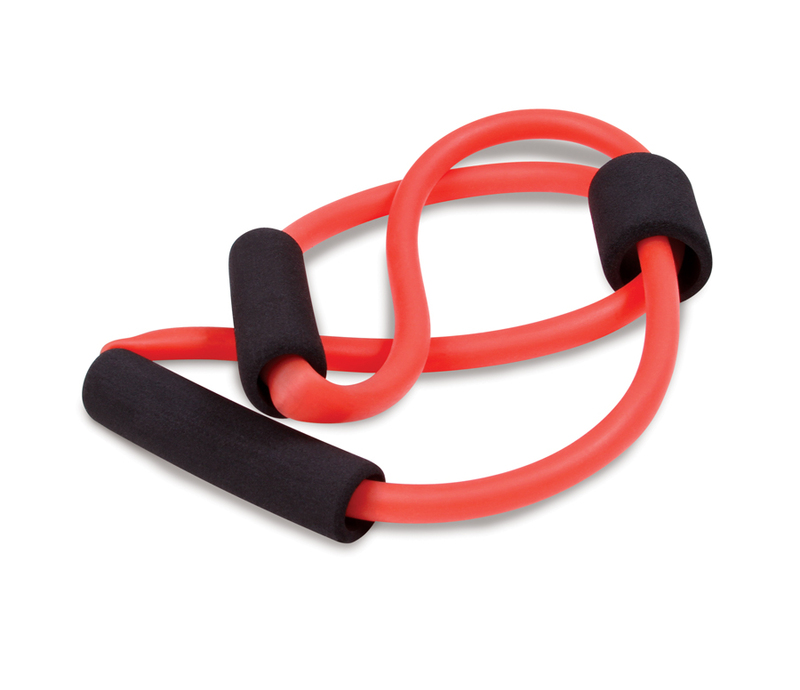 Perfect for exercises such as chest presses, arm pull backs, arm extensions, leg lifts, and more. Length of Looped Band when not stretched 17"
Thickness Diameter of tube is3/8"
* Please note that any accessories shown are for display and illustration purposes only and are not included.